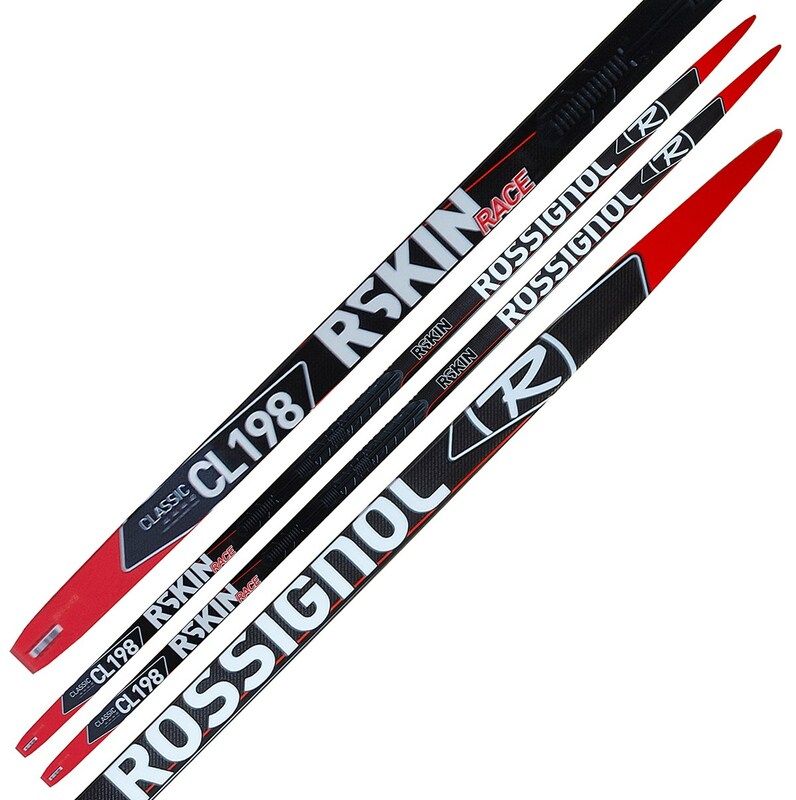 Re: Skin ski, what to get? That ski, r-skin race, will come with the Turnamic plate vs the NIS that it is shown with. I skied them recently and they were a nice upgrade from the r-skin. It is built using the Xium model ski vs Delta. I had a chance to ski all of the brands and I felt like the top end Salomon, Madshus and Rossi were my favorites. The Atomic doesn't kick well and the Fischer was draggy even after trying a variety of ski flexes. The Salomons I tried were very fast but somewhat difficult to kick as they are built on more of a klister camber ski. You would need to be a proficient classic skier to use them. Klister camber is also how Petter Skinstad, the guy who won 'Fredagsbirken' (friday birkie) described his Salomon skins, but what is klister camber exactly? And did you try with the yellow or black skin? Petter won using the black, which I understand has shorter hair and lesser grip than the yellow, but better glide presumably. Higher camber is how I would describe it. Think I'll wait for the Rossignols to come down in price, maybe next season, unless a too-good-to-pass offer on Salomon comes up. Well now just such a 'too-good-to-pass' offer on the Salomons has come up ($220), so I might go for that unless Rossignol has a similar end-of-season sale soon. But interestingly, the shop says the Salomon skin is not actually made of mohair like the others, it's made from some synthetic material. The Salomon web page is the typical modern one that's virtually impossible to find any useful info on, so can't confirm it, and even the contact link doesn't work. Anyone else know for sure? That's good to know. Seems I might just go for this years model then. Only drawback is there are very few left in stock so not 100% sure they will find a perfect pick for me, but might be worth a try. Especially as there is an alternative skin available. Neuro wrote: But interestingly, the shop says the Salomon skin is not actually made of mohair like the others, it's made from some synthetic material. The Salomon web page is the typical modern one that's virtually impossible to find any useful info on, so can't confirm it, and even the contact link doesn't work. Anyone else know for sure? Finally made contact to Salomon Norway and they can confirm it's made from synthetic material, but didn't know what exactly. I asked Salomon Norway what exactly was the synthetic material, and they now got back to me from I suppose head office that it is not synthetic after all, but goat hair. Just ordered Salomon Equipe RC Skin 2016/2017, was a good offer on and the shop has a good reputation to pick correct skis. The ski also comes out good in tests, see above. Like the Atomics, this ski also has two skins to choose from (the yellow and black), but unlike Atomic, they can't be changed in the field. Has to be done in a shop (or I guess by yourself if you have an iron or heat gun). Cumbersome, but at least there is the option. I didn't order bindings as I really want the Rottefella Move System binding or whatever it's called, so will wait to see what the price will be. It might really be the trick to have with skin skis. Neuro wrote: I didn't order bindings as I really want the Rottefella Move System binding or whatever it's called, so will wait to see what the price will be. It might really be the trick to have with skin skis. As you know, Neuro, you will get a lot of holes in those skis since I suppose they are pre-drilled for Salomon bindings. I guess Rottefella Move will be expensive. You need the new NIS mounting plates with the right inserts and the bindings themselves: perhaps 1300 NOK, maybe much more. Well all the holes should help with the flex..
Yeah I'm expecting a stiff price for the move binding upon launch. I might wait till next season for the price to come down, but then again, I could think that the extra cost of having the moveable binding compared to a normal binding might be the same amount as a good waxing kit and the benefit and enjoyment the same, so..
Neuro wrote: Well all the holes should help with the flex.. Yes, you will get more flex. I wonder if the shop takes that into consideration when picking the right skis for you. I think you should buy Rottefella Move when it is launched in December. It would be interesting to read about your experiences of your setup. I believe they will be good. Tried the new Salomons today, and like with the earlier Rossignols struck with how good the glide is, but they are brand new and I had just scraped and brushed them. The snow was also perfect with low friction etc, but still. Also surprised how little grip the skins will give, but I guess my expectations are quite high. I forgot my binding adjuster tool, as I think it would be better if they were forward. I'm really going to get the Rottefella move system, no doubt about it. This is my second pair of skins as the first was too stiff, but these seem perfect to me. The grip is the same walking normally and jumping to prove that it works for my weight, and glide is great while double poling, meaning the skin is not dragging much and arch is stiff enough. So after 2 rounds with skin skis it seems the main lesson is to have them properly picked for the skier.